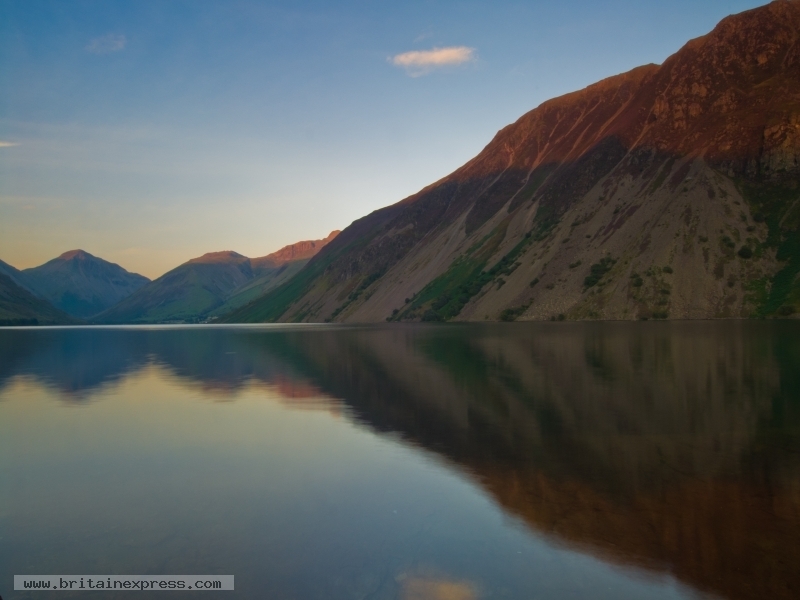 Sunset over Wast Water, in the western Lake District. It was a grey, overcast day, and I had no hope of a nice evening, when the weather changed with extraordinary swiftness, creating a lovely, soft light on the hills surrounding the lake. Magical!